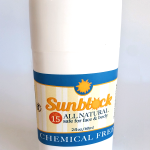 Protect your skin the natural way this summer with our chemical free Sunblock. Made with Essential oils this easy to apply product has an spf rating of 15. This product is not waterproof and should be re-applied after swimming. 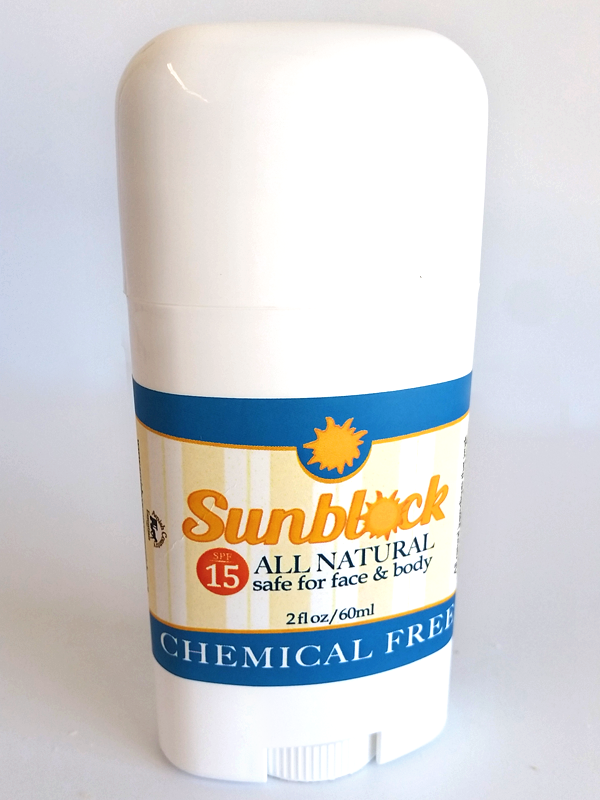 Protect your skin the natural way this summer with our chemical free Sunblock. 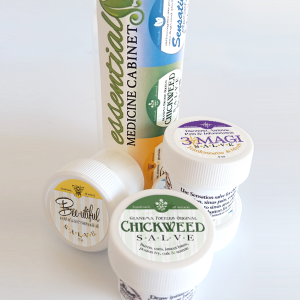 Made with Essential oils this easy to apply product has an spf rating of 15. This product is not waterproof and should be re-applied after swimming. Safe for Kids! You’ve been asking…and we’ve heard you! 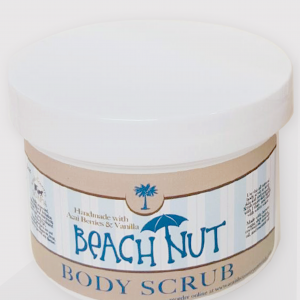 New for the summer of 2018, now available Beach Nut Brown Sugar Scrub! Our unique and famous Beach Nut line is a combination of Acia berry oil and Vanilla oil. Some say it smells like Vanilla, others Butterscotch. You be the judge, you’ll love it. Bloomin’ Lilac is a one of our limited edition seasonal scents and a favorite that our customers wait all year long to get their hands on. 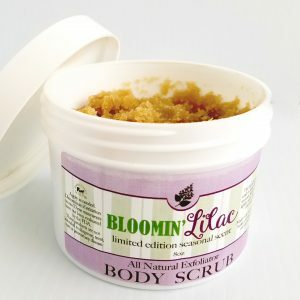 Experience the luxury of the spa at home and sluff off dry, tired, skin with this relaxing brown sugar scrub made with 100% pure Essential Oil. Take a small amount into the palms of hands and massage into wet skin on feet for 2-3 minutes. If the mixture is too dry or rough for your liking, add more water to feet. Rinse with warm water and pat dry. For best results follow scrub with our Bloomin’ Lilac Lotion to leave skin your skin touchable and silky smooth. 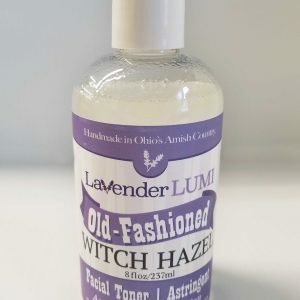 The newest addition to our Anti-Aging, Lavender Lumi skincare line is our Witch Hazel Astringent and Facial Toner enriched with 100% essential oils, specifically blended to help reduce blackheads, plus freshen and brighten skin in both teens and adults. Simply swipe this all natural Which Hazel toner over clean skin with a soaked cotton pad to help balance the skin’s natural PH as well as control oil and minimize the appearance of pores. Not recommended for those with severely dry skin.